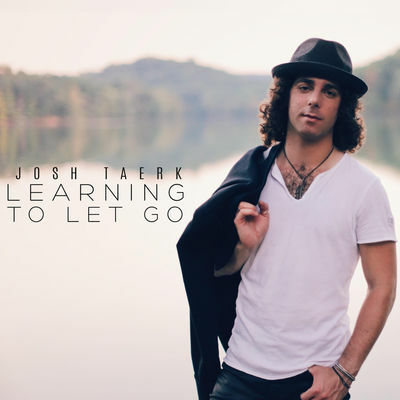 Josh Taerk is a Canadian singer-songwriter who was playing a show in his home town, Toronto, when he was spotted by Max Weinberg, the drummer for Bruce Springsteen and The E Street Band. Impressed, Weinberg invited Josh to open for him at his sold-out show. That was in 2010, and since then Taerk has been writing, recording and performing – and steadily building his following. He released his debut album in 2013. He then set to work on his second album, which was recorded in Nashville. His latest single is ‘Learning to Let Go’, which is about taking leaps of faith – and not getting in your own way. Taerk certainly knows how to write a pop hook and layers that into a country-rock sound, and he has a great voice, so this is a song that has my favourite combination: it’s meaningful and entertaining. Watch the video for ‘Learning to Let Go’ on YouTube. The core of this Montreal band is, fairly obviously, the Barr Brothers, Brad and Andrew, who are joined by harpist Sarah Page. The band’s folky sound initially seems to be not constrained so much as modest: there are no fancy tricks here. No doubt that’s because they’re not needed. The sound relies very much on the instruments, which are lovingly, crisply and expertly played, with the vocals floating over them. And it is to those instruments that the listener’s attention keeps being drawn, not just because of how they’re played but because of the attention to detail in the production: each of the individual sounds are so clean that it’s possible to get lost inside each song, following each instrument, only to realise you need to go back and listen to the song again to listen to a different instrument … and on it goes until you can sit back and realise that, for all the individuality, the songs cohese very, very well. It may be self-evident to say that Canada has a rich, diverse music community – which country doesn’t, really? But there is so much very good, if not excellent, Canadian music that seems to belong to a certain genre yet really plays with the boundaries of it. Call it an ingrained national trait of curiosity. There is also a strong tradition of storytelling, and it’s one of the few places on the planet where a fiddle player can rise up the charts just as easily as a pop singer. The Barr Brothers draw on those characteristics of Canadian music: they are telling stories not just in their lyrics but also through how these songs are played, offering a very well-rounded, fulfilling experience for the listener that demands you listen again and again, because there are all sorts of nooks and crannies in these songs, not to mention twists and turns. And so many jewels, too, waiting to be found. 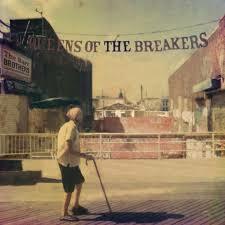 Queens of the Breakers is out now through Secret City Records.